Indiana is actually RV mecca. For example, Elkhart is actually the birthplace of a ton of famous brands and manufacturers, and it’s right in the center of some of the best campgrounds and RV parks in Indiana — and in the midwest at large. You can enjoy the beauty of the Indiana Dunes National Lakeshore or engage in outdoor activities and educational interpretive services at Turkey Run and other Indiana state parks. And that’s not even mentioning all the amazing food, culture, history, and fun that can be found in the state’s major metros, like Indianapolis and Fort Wayne. It’s also, of course, wildly famous for its speedway and car races! 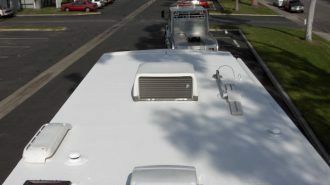 But if you’ve been cruising around in an Indiana RV rental for all of your trips, you might be eagerly eyeing all the travel trailers and motorhomes you see for sale on the market. After all, there’s nothing like having space to call your very own — even if that space is on wheels! If so, you’re in luck. Indiana hosts some of the most exciting RV shows and exhibitions in the business. And since it’s a relatively small and centrally-located state, you won’t have to travel very far to find the action. 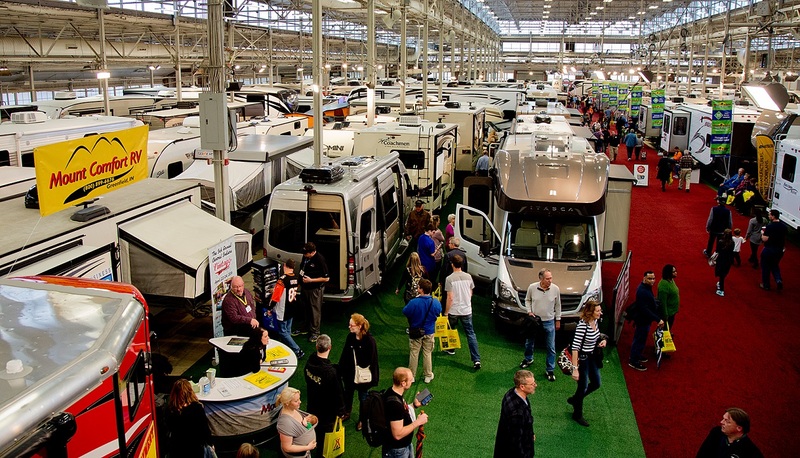 With over 120,000 square feet of top-of-the-line RV dealers displaying everything from brand-new rigs to parts and accessories, the Indy RV expo is one of the largest RV shows in Indiana — and, in fact, in the midwest as a whole. All RVs on offer will feature special discounted show pricing, and you’ll be able to get intimately acquainted with different makes and models thanks to the factory representatives who will be on site and prepared to answer your questions. 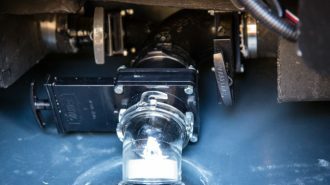 These manufacturers are represented by some of Indiana’s top RV dealers, including Braun’s Fun Time Campers, Colrain RV, Lafayette Trailer Sales, Mount Comfort RV and others. Times: TBA, but last year’s show was open 10 a.m. to 9 p.m. on Saturdays, 11 a.m. to 5 p.m. on Sundays, and 1 p.m. to 8 p.m. on weekdays. Situated in South Bend, this annual RV show is conveniently located for campers and travelers not only from Indiana, but also from other nearby areas like Michigan, Ohio, and the Chicago metro — so if you’ve been looking for “RV shows near me,” this probably fits the bill! 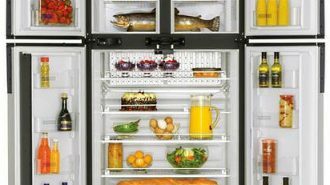 It’s also indoors, which means you won’t have to worry about weathering the weather while you shop for your next rig. These rigs are on sale via about half a dozen of the best-trusted RV Indiana RV dealers. 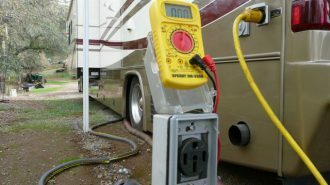 If you live or are camping nearby Fort Wayne, Indiana, this is the motorhome show for you! 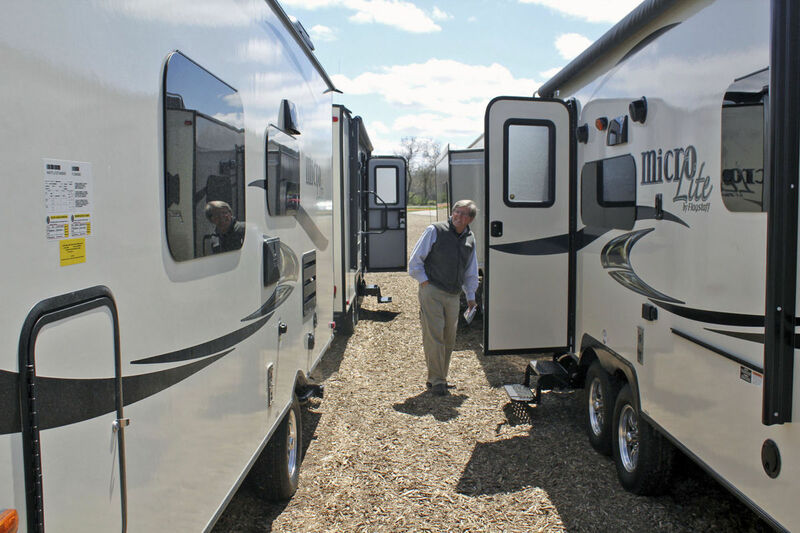 With 10+ Indiana RV dealers representing dozens of high-end camper brands in a variety of models, you’re sure to find your next great adventure at this camper and RV show. 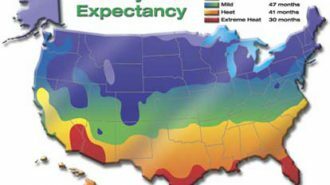 Fort Wayne is also conveniently located to residential centers like Columbus, Toledo, and Cincinnati, Ohio, as well as Kalamazoo and Ann Arbor, Michigan. While you’re in the area, don’t miss out on seeing Johnny Appleseed Park, where you’ll find not only fascinating history but also the man’s gravesite — and consider checking out the Children’s Zoo and Botanical Gardens, too. They’re highly rated! Times: TBA, but last year’s show was open 11 a.m. – 9 p.m. Thursday through Saturday, and 11 a.m. to 5 p.m. on Sunday. Tickets: Tickets were available before the show via Ticketmaster last year — check back on this website soon! What better place for an RV camper show than a museum and hall of fame devoted to celebrating RVs and all kinds of manufactured housing? 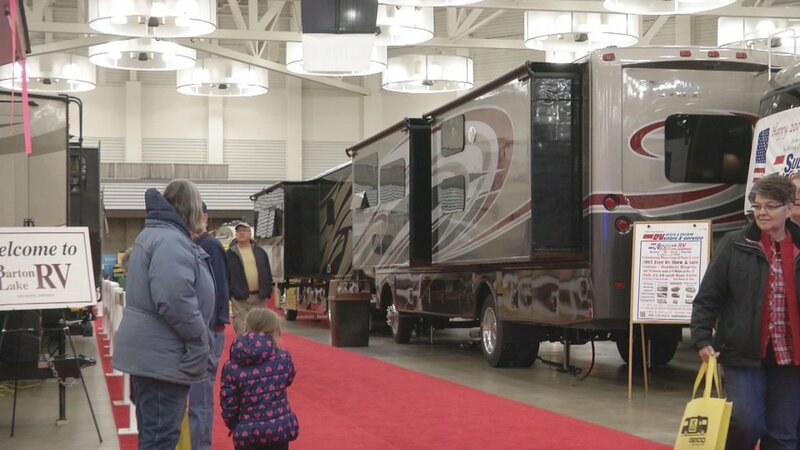 The Midwest Super Show allows you to see all the very best and latest motorhomes, fifth wheels, travel trailers, toy haulers and more all under one roof. But this travel trailer show is even more special than that implies. 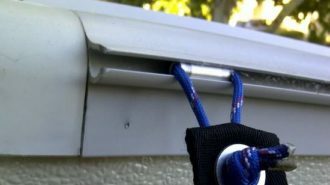 This isn’t just any old roof we’re talking about. It’s the RV/MH Hall of Fame and Museum in Elkhart, Indiana, otherwise known as the RV capital of the world! Plus, your ticket price includes admission to the museum, which normally costs $10 per person on its own. 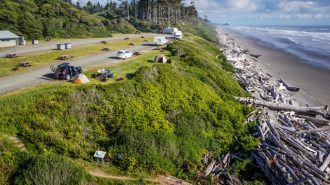 You’ll get to explore hundreds of square feet devoted to the unique history and story of RVs and RV camping as we know it. 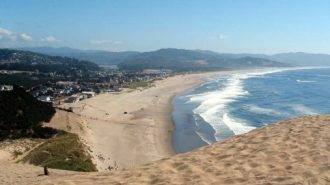 It’s basically a twofer — and one heck of a pilgrimage for any devoted camper. Children 15 and under: FREE with adult admission! 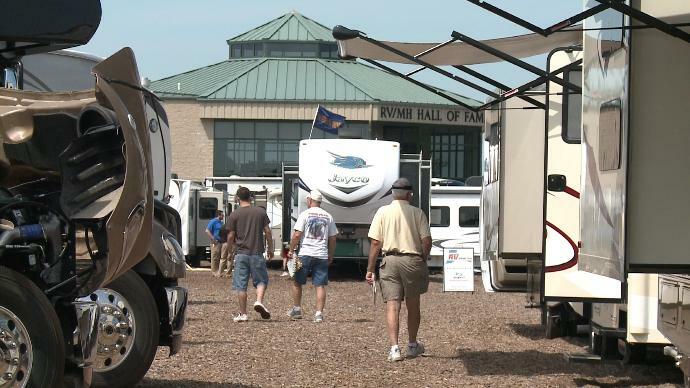 Just like the Midwest Super Show, the Spring Hall of Fame RV and Camping Show is held at the world-famous RV/MH Hall of Fame and Museum in Elkhart. 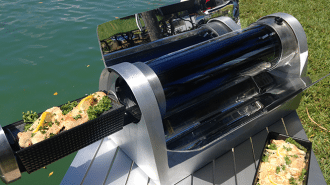 However, instead of late summer, this show takes place in — you guessed it — spring, which makes it a great opportunity if you’re trying to shop for a new rig in time for high travel season. Just because the word “Super” isn’t in this event’s name, don’t be fooled. 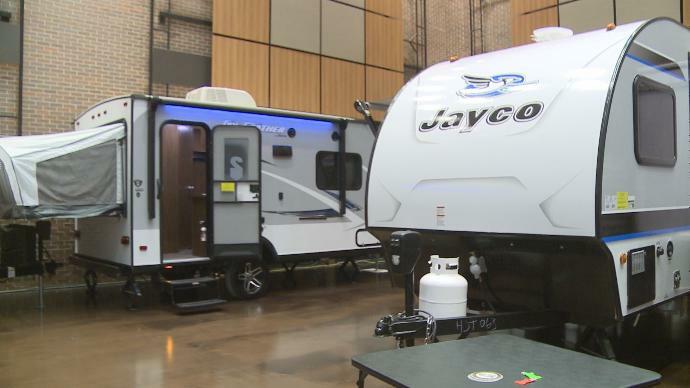 The Spring Hall of Fame RV and Camping Show is attended by hundreds of RVers and camper enthusiasts from around the state and country, and that’s because they know they’ll find some of the very best names in the business represented. Dealers like Goshen RV Supercenter, Indiana RV Connection, Moore Custom Trailer, Tiara RV Sales and Service, International RV Wholesalers and others come together to display RVs of all sorts, which are available for limited-time and cut-rate show prices. For instance, you might walk through a Forest River Sunseeker Class C and step into a Heartland Big Country fifth wheel only moments later. 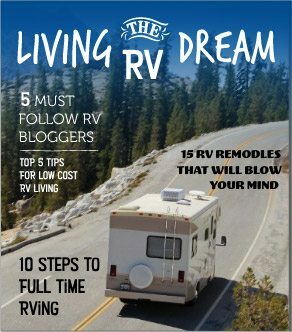 There’s no better way to learn about your RVing style and preferences than to check out as many options as you can, so this is a fantastic learning opportunity whether or not you’re currently in the RV market! Discounts: You can get a coupon worth a discount off your ticket if you fill out this form — check back for the 2018 update! You already know Indiana is a friendly place, whether you’re traveling by RV, car, or even just on foot. America’s midwest is famous for its welcoming disposition and won’t-quit hospitality for a reason. But if you’re an RVer, you really owe yourself a trip to see the birthplace of RV camping as we know it. 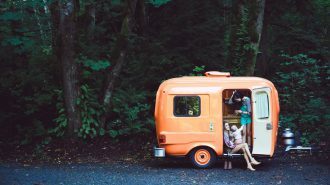 From the hall of fame and museum to the highways, roads, and cities themselves, this is where RVing became the well-known and -loved pastime it is today. It’s a piece of living history! As if that weren’t incentive enough, the RV shows and expos that are held in Indiana are truly top-notch — as you’d expect, given its importance in the industry. 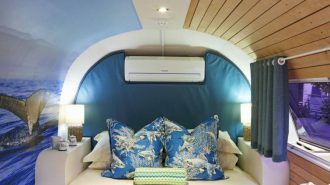 That means that you’ll be able to score some incredible deals on top-of-the-line, high-quality motorhomes and travel trailers that will bring you and your family years of fun and adventure. And even if you’re not in the market, you’ll have the opportunity to meet, greet, and network with manufacturers, salespeople, accessories dealers, and, of course, other campers just like you. After all, that’s a huge part of what draws us to camping in the first place, right? The incredible community. If you want to situate yourself in the heart of the RVing community, there’s no better place than Indiana — and no better activity than one of Indiana’s many amazing RV shows.